When it comes to finding something to do, shopping is always one activity that is bound to come up on everyone’s list. But why go regular shopping when you can indulge in stunning vintage objects that are guaranteed to be a lot more beautiful than anything you would buy from your regular online store? Why vintage, you might ask? Because there is always something special about owning an antique. When you buy vintage, you are not just purchasing the article; you also get the rich history that the item has seen. Shopping vintage is a brilliant way to go about acquiring some finds that are relatively rare or no longer available. Vintage items can be breathtakingly beautiful and more often than not are available at a surprisingly low rate. Because these articles have stood the test of time and are pre-owned, they tend to be cheaper than their newer counterparts. This means that you get something that is beautiful while barely paying anything for it. However, vintage markets that consistently offer good stuff are hard to find, especially when it comes to having multiple stores in one place. Long Beach Antique Market is one option and a good place for people who want to find something that is worth holding on to without having to pay too much for it. 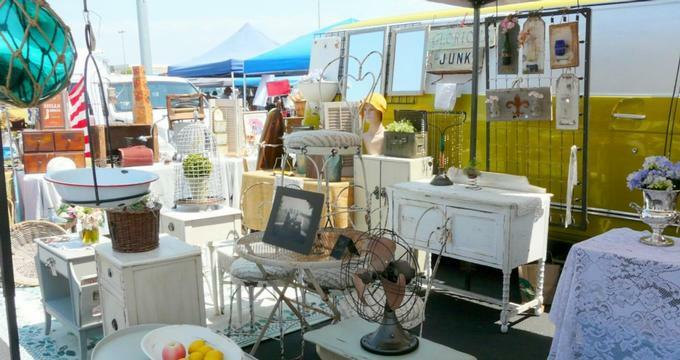 One of the largest vintage flea markets in the country, Long Beach Antique Market is a shopper's paradise when it comes to buying almost anything vintage. What else would you do at a flea market other than shop? The Long Beach Antique Market is so large that it is virtually impossible to check out every single store. The market has plenty of shops and sellers to keep you on your toes throughout the day. 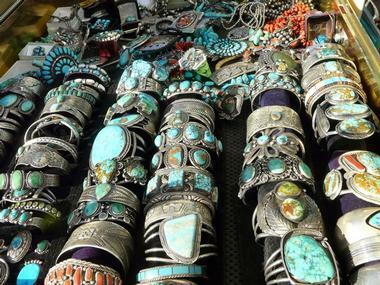 The antique market has over 5,000 different sellers to choose from, each selling something different. Since everything sold here is purely antique and vintage, it is extremely hard to find copies of the same product in a different section of the market, making each seller unique. You can find almost anything you could possibly want, except if you want something from the future, in which case you are out of luck because, as the name suggests, this is a vintage market. The Long Beach Antique Market website is an excellent tool in helping you understand what’s on offer at this unique treasure trove. You can find almost anything here from furniture to antique jewelry and there’s also a lot of vintage fashion going around, just right for those looking to add that old-style flair to their wardrobes. The Long Beach Antique Market is one of the best places to purchase extremely rare collectibles that can seriously revamp the look and feel of your home. For anyone looking to start up a collection of something vintage, or for individuals who already have a collection of sorts going on, this market is undoubtedly the place to visit. The Long Beach Antique Market has tons of collectibles and unusual things to satisfy anyone who is on the lookout for something that is extraordinary as well as a brilliant place to get your hands on beautiful vintage art that would otherwise have been significantly more expensive at an art gallery or home decor store. The sellers of these markets are locals who have something small to sell, or business owners who source rare vintage collectibles, so when you buy from the flea market, you are buying directly from the primary seller, making the items a lot cheaper than in a branded store. 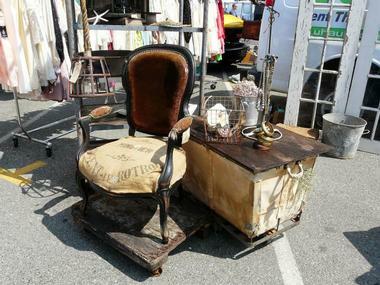 For shopping on a budget, flea markets are a shopper’s best bet! When planning to go to the Long Beach Antique Market, be sure to pick a day when you have a couple of free hours. Because of the sheer number of shops here, it isn’t possible to cover all of them at once unless you are just planning to have a quick look. Therefore, if you are going for something specific, don’t be afraid to ask around and the sellers will be happy to provide directions. You will have to buy an admission ticket at the entrance before entering the market.